Canyon offers direct sales. There are no middlemen. This keeps prices low for you, the customer. We both developed and built your bike. We know every little detail about your bike and can assist you no matter what the problem. That's our 100% quality promise! Nevertheless, we check every frame and fork in our own CT scanner. Over 200 Canyon innovations characterise our bikes. Many of these are used today as standards on the pro racing scene. 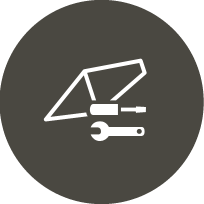 Technical support, repair instructions, online service orders, consultation on choosing the correct frame size, manuals in the Service Section. We have developed an additional box so that your bike reaches you in perfect condition. Top places in reader surveys and design awards. Every single rider motivates us to become even better. International top teams and riders win the world's biggest races and contests on Canyon bikes. We are proud of our committment to the top level of our sport. We ship via Deutsche Post (DHL) and UPS according to our current shipment and delivery conditions. Within the EU, any missing articles will of course be delivered to you subsequently and free of charge. For outside the EU we will contact you before shipping to inform you about the additional shipping expenses. All our packages are fully insured during transport. We ship your new bike exclusively in our Bike Guard. This special box was developed to ensure safe transport of your bike so that it reaches you in perfect condition. Please keep your Bike Guard. 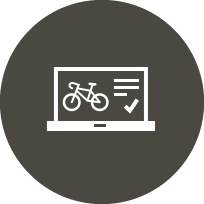 You can use it again in the future, for example when you send in your bike to us for a service or for safe transport of your bike when you travel. We accept VISA and MasterCard. Your payment is secure with SSL encryption. 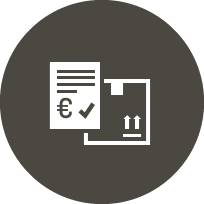 We will send you an advance payment invoice after you have completed your order, which you can then use to pay for your order. You can also pay using Paypal. Payment is SSL encrypted. Please note that PayPal payments are only possible in Euro. CANYON develops and builds your bike - and then sends it directly to you, the customer. All this without any wholesalers or retail outlets. We can therefore offer the best bike at the best possible price! We are also always on hand for you both before and after you have completed your purchase. Nobody knows more about our bikes than we do ourselves. We don't make any compromises with regard to design and innovative technology. On the contrary, our position as a pioneer in innovative technology is backed up by a series of test victories and design awards for our great bikes. ORDER COMPLETE - WHAT HAPPENS NEXT? After you have placed your order, you will receive confirmation via e-mail. As soon as your order has been cleared by our Service Center, you will receive a binding order confirmation from us via e-mail. Your order will now be processed. We put together all the relevant parts and accessories and prepare your bike (subject to availability) for shipment. As soon as your bike is ready for shipping, you will be informed. Depending on the method of payment we wait for confirmation of your financing or payment before we ship your bike to you. If you are paying by credit card, Paypal or cash on delivery we ship as soon as your bike is ready. We hope that everything is o.k with your new bike and you are delighted with it for many years. 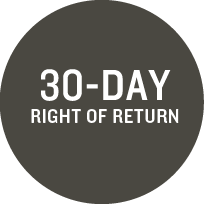 If you are not entirely satisfied you may send all unused articles back to us within 30 days without any quibble. 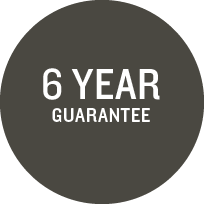 We grant a 6 year guarantee on all our frames as well as road bike and triathlon forks.